This conference is based on an initiative of the International Group for the Psychology of Mathematics Education (PME). Themed ‘Technology and Psychology for Mathematics Education’, it is co-organized with Yandex, Russia’s leading technology company, and takes place on March 18-21 in Moscow. The conference invites contributions looking at technology as a challenge for mathematics education of the future and psychology as the groundwork for research-based educational practice. This conference aims to facilitate a dialogue between mathematics education community in Russia and international researchers in mathematics education. It is designed to both cater to the interests of researchers, and promote mathematics education to a broader audience. The conference’s first day will invite general public to attend an exciting program of popular lectures and activities, while the other three days will offer an agenda aimed at researchers and educators. We hope that your visit to Moscow will become a remarkable experience and look forward to meeting you in March! The International Group for the Psychology of Mathematics Education (PME) is an independent organization of international researchers who meet every year at the PME conference to discuss current problems and developments in mathematics education. PME was founded at the Third International Congress on Mathematics Education (ICME-3) in Karlsruhe in 1976 and is an official subgroup of the International Commission for Mathematical Instruction (ICMI). The main goals of PME are to promote and stimulate international contact, interdisciplinary research and exchange of scientific information in mathematical education, as well as developing a deeper and better understanding of psychological and other aspects of teaching and learning mathematics and its implications. PME provides annual funding for a regional conference to support researchers in regions currently underrepresented at PME. This initiative aims to support the development of a regional research community that pursues the goals of PME, and by doing so, encourage researchers from that region to actively participate in future PME conferences and help them in preparing top quality PME contributions. Proposal for the PME & Yandex conference in Russia was approved by PME members at the annual general meeting in Sweden last year. This conference will be the second regional conference under this initiative. Read more about PME at www.igpme.org. Yandex is a technological company that makes intelligent products and services that help people solve their day-to-day problems both online and offline. Complex technologies behind Yandex products and services are unique. That is what enables us to do things that once would have sounded like magic. Our team of specialists represents many scientific disciplines, including mathematics, data analysis, programming, linguistics, and many others. Besides working on products and technologies at Yandex, some of our experts teach, lecture and train students and young specialists. We use the leading methodological and technological expertise to develop cutting-edge solutions for digital education. Our education platform facilitates personalized education in the Russian language and mathematics for primary school. It has been tested by 4,200 students in 73 schools in 15 regions in Russia and has received overwhelmingly positive feedback. Analytical tools that we provide allow teachers to follow the progress of each of their students, pinpoint factors that boost students’ performance, and choose the best tactics to achieve top results. Read more about Yandex at www.yandex.com/company. Full conference program is available at the link. Dor Abrahamson (PhD, Learning Sciences, Northwestern University, 2004) is a design-based researcher of mathematical cognition and instruction at the Graduate School of Education, University of California Berkeley, where he runs the Embodied Design Research Laboratory. Abrahamson draws on constructivist–enactivist, sociocultural, and dynamical systems theories to inform the design and evaluation of interactive educational materials. In turn he analyzes empirical data from implementation studies to develop theoretical models of mathematics education and to refine his pedagogical framework, embodied design. In recent projects, Abrahamson has been developing a new form of technologically enabled mathematics learning activities, the Mathematics Imagery Trainer, to explore relations between the learning of movement and mathematics, as well as to evaluate the relevance of movement science to research on mathematics education. Abrahamson has published widely in the leading journals of his field and has received grants from the Spencer Foundation and the National Science Foundation. Recent developments in the theory and methods of cognitive science are enabling educational researchers to evaluate empirically the historical thesis that mathematical concepts are grounded in sensorimotor activity. My presentation will survey results from several recent design-research studies that have used eye-tracking techniques to capture the moment at which a student first sees the world in a new way. For the student, this spontaneous perceptual construction serves as a handy solution for coordinating the control of an interactive system. In turn, through cultural mediation this construction evolves into a new way of reasoning that becomes a mathematical concept. I will speculate on implications for educational technology. Arsalidou obtained her PhD at York University and completed her Post-doctoral training at the Department of Diagnostic Imaging at the Hospital for Sick Children in Toronto. Arsalidou directs the NeuropsyLab with students and collaborators at HSE in Moscow and York University in Toronto. Her research focuses on understanding brain-behaviour relations across development with a special interest in mathematical cognition and cognitive giftedness. According to the world economic forum an estimated 65% of children who are now entering elementary school will graduate to work on completely new occupations that do not exist today (Chapter 1: The Future of Jobs and Skills, 2016). Although, our world is changing rabidly and future labor market requirements are not fully understood, researchers agree that future workforce will have a higher demand for Science, Technology, Engineering and Mathematics (STEM) majors (Fayer et al., 2017). Mathematics is essential for STEM majors and occupations that are progressively more on demand. Traditionally, mathematics has been a core subject in school curricula and research shows that success in math relies in part on the child’s age and their readiness to receive instruction (Agostino et al., 2010). Advances in mathematical performance coincide with the development of fundamental cognitive processes such as mental competence and the protracted development of brain structures such as the pre-frontal cortex (Pascual-Leone et al., 2010). This plenary will discuss brain correlates of mathematical problem solving in adults and children, and potential implications to education. About twenty years ago, a neurofunctional model was proposed to explain the brain areas that support mental arithmetic, mainly focusing on the functions of the parietal cortex, in posterior parts of the brain (Dehaene & Cohen, 1997; Dehaene et al., 2003). Although this model is based mainly on lesion patient studies, it has stimulated a substantial body of functional magnetic resonance imaging (fMRI) research with healthy individuals. fMRI studies on mathematical cognition typically fall into two categories those that use number tasks (i.e., stimuli are numbers or quantities and participants are asked to make simple magnitude judgements) and those that use calculations tasks (i.e., formal mathematical operations such as addition, subtraction, and multiplication). In quantitative Activation Likelihood Estimation (ALE) meta-analyses we examined neurofunctional activity associated with number and calculation tasks in healthy individuals, children (Arsalidou et al., 2018) and adults (Arsalidou & Taylor, 2011). Data shows that a large overlap exists among brain regions implicated in number and calculation tasks, however the regions in which they differed were most notable, such as distinct areas in prefrontal cortices. Specifically, compared to number tasks, solving calculation tasks elicit more activity in prefrontal brain areas; a difference, which suggests that calculations implicate more core cognitive resources, such as working memory and mental-attention (Arsalidou et al., 2013). Moreover, addition, subtraction and multiplication differentially implicated brain regions in the parietal and prefrontal cortex in the left and right hemispheres. Similar to adults, children activate a varied set of brain areas in established parietal and frontal regions when solving problems with numbers and calculations (Arsalidou et al., 2018). Importantly, children implicate extensively the insular cortex when solving calculation tasks. The insular cortex has not been previously emphasized in its role in mathematical cognition; instead it has best known for its involvement in processes of emotion and motivation (Duerden et al., 2013). Concluding, this presentation will highlight neuroscience evidence to underline potential implications for teacher’s professional development and students learning experiences, and discuss the importance of Developmental Cognitive Neuroscience in evidence-based education. Professor Stephen Lerman was a schoolteacher of mathematics before completing a PhD and becoming a teacher educator and researcher in mathematics education. He joined London South Bank University in 1987 and was promoted to a Chair in 1998. He was Chair of British Society for Research into Learning Mathematics (BSRLM) from March 1994 to December 1996, and President of the International Group for the Psychology of Mathematics Education (PME) from July 1995 to July 1998. His research focus has been on sociocultural and sociological perspectives on the teaching and learning of mathematics. Amongst many minor grants for research he was Principal Investigator on an ESRC funded research project from 2001 to 2003 entitled “The Production and Use of Theories of Teaching and Learning Mathematics” and co-Principle Investigator on a European funded research project entitled “Big Ideas in the Teaching and Learning of Mathematics” from 2009 to 2011. He was recipient of the Svend Pederson Award from Stockholm University in 2010. He is Editor-in-Chief of the Encyclopedia of Mathematics Education, first edition published in 2014, second edition due in early 2019. He was appointed Emeritus Professor of Mathematics Education at London South Bank University on retirement in 2012 and is Visiting Professor at the University of the Witwatersrand in Johannesburg, South Africa. Abstract: Vygotsky’s approach to child development has had, and continues to have, a major impact on teaching and learning and on research in education. In this talk I will show some of that work and its significance in the field of mathematics education, whilst pointing to misunderstandings circulating in the community. Vygotsky died young, aged just 37. It is evident, given how he developed and changed his ideas as he approached death, that he had so much more to say but did not have time to write enough nor elaborate fully his theory. Thus we continue to research him and his ideas, as well as work to apply his insights in our studies of teaching and learning. I will propose some future directions for research in mathematics education building on Vygotsky’s thought. Sergei Pozdniakov is Professor in the Algorithmic Mathematics Department of Saint-Petersburg Electrotechnical University. His research interests include productive thinking and learning in mathematics and theoretical informatics and their support by computer tools. Editor-in-chief of the "Computer Tools in Education Journal" (from 1998 until now). Board member of the Series “Mathematics Education in the Digital Era”, Springer. Last/main publications he was engaged: in Russian: editor and co-author of monographs •	“Information environment for education” (1995); •	“Generation of mathematical tasks and verification of their solutions in automated learning support systems” (2012); •	“Intelligent data analysis and cognitive process management” (2015); in English: •	“Technological environments beyond the classroom” (in the book Challenging Mathematics In and Beyond the Classroom, New ICMI Study Series, 2009, Springer); •	Evaluation of Difficulty and Complexity of Tasks: Case Study of International On-line Competition "Beaver", International Journal of Engineering Education, 2016; •	Sergei N. Pozdniakov, Valentina Dagienė (Eds.) (2018). Informatics in Schools. Fundamentals of Computer Science and Software Engineering. ISSEP 2018, Proceedings: Springer. The main ideas of productive learning in mathematics appeared much earlier than the appearance of a computer. In the works of Wertheimer, Hadamard, Polya, and others, the basic principles of a productive approach to teaching mathematics were formulated. At the same time, the practice of mathematics teaching did not rely on these results because of the contradiction of these principles to the current state of learning technologies. Emergence of the computers in everyday life has opened up opportunities for technological support of productive learning methods that were previously technologically inefficient. Papert demonstrates in his work the possibilities of using a computer as a tool for a student’s development, as it was developed in Vygotsky's ideas about the role of a tool in child development. However, the transition to a new structure of educational system requires a large period of time, during which a new educational culture will be formed on the basis of new technological capabilities and a new generation of teachers who perceive this culture as their own will emerge. The report will present an analysis of the possibilities, both realized and unrealized, of using a computer to support productive learning. Norma Presmeg is Professor Emerita in the Mathematics Department of Illinois State University. Her research interests include a long-standing interest in creativity, going back to her thesis on Albert Einstein’s creative thought, which led to her research interest in visualization in mathematics education. Mathematical problem solving, problem posing, and the role of metaphors in mathematics education were themes that emerged from this research, along with the importance of affective issues. Concurrently, the role of culture in learning and teaching mathematics was a theme that led to interest in ethnomathematics. All of these threads are supported by a theoretical interest in semiotics, which is ongoing. She was associated in various capacities (including serving on the International Committee) with the International Group for the Psychology of Mathematics Education, starting in 1980. She served as Editor-in-Chief of Educational Studies in Mathematics from January 2009 to December 2013, and is currently the English language editor for ZDM—Mathematics Education. Recent edited books include the following: Bikner-Ahsbahs, A., Knipping, C., & Presmeg, N. (Eds.) (2015). Approaches to qualitative research in mathematics education: Examples of methodology and methods. Dordrecht: Springer. Presmeg, N., Radford, L., Roth, W.-M., & Kadunz, G. (Eds.) (2018). Signs of signification: Semiotics in mathematics education research. Dordrecht: Springer. After outlining differences between research in pure mathematics, and mathematics education research, I highlight aspects of the founding and evolution of the International Group for the Psychology of Mathematics Education (PME), from its inception in 1976. This evolution entailed changes in theoretical paradigms, and in methodologies for research in mathematics education that were considered legitimate, ranging from an early paradigm in which only rigorous statistical research had scientific standing, through several decades of increasing acceptance of the value of qualitative research, to a more recent perception that quantitative and qualitative research methodologies have different purposes, and that each has its place—resulting in increasing use of conceptual lenses that make use of mixed methods of various types. In Russia, the Soviet psychologist V.A. Krutetskii was ahead of his time in recognizing the potential for depth in research that involved clinical interviewing of ‘capable’ mathematics students with various individual differences, in their approach to types of mathematical problems that he collected and categorized. I highlight Krutetskii’s book, first published in Russian in 1968, which was translated into English in 1976, and which formed a strong theoretical core for my own initial research on visual thinking in teaching and learning mathematics, starting in 1982 and continuing for several decades. Our guest speaker Geoffrey Saxe will give a lecture on March 22 at 16:30. Lecture venue: Armenian lane 4, building 2, auditorium 205. To attend the lecture, kindly register following the link. Geoffrey Saxe is a Professor of the Graduate School at UC Berkeley. 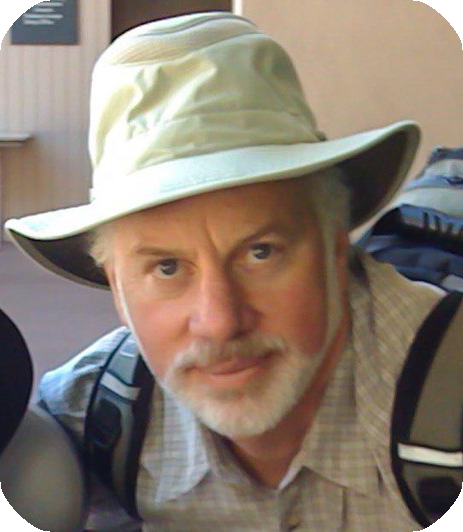 His research has focused on learning/development processes in varied settings—elementary and middle school classrooms in the United States, remote settings in Papua New Guinea, urban/rural areas of Northeastern Brazil, family practices involving numerical activities in the lives of toddlers in New York. He has been awarded grants from the National Science Foundation, the Spencer Foundation, and the Institute of Education Sciences. He has received fellowships as a visiting scholar at the Center for Advanced Study in the Behavioral Sciences at Stanford University and Rockefeller’s Bellagio Center in Italy. His books and monographs include Social Processes in Early Number Development (with S. Guberman and M. Gearhart, 1987), Culture and Cognitive Development: Studies in Mathematical Understanding (1991), Cultural Development of Mathematical Ideas: Papua New Guinea studies (2012). His most recent book, Cultural Development of Mathematical Ideas, received most outstanding book awards from the American Psychological Association (2015), the American Anthropological Association (2014), and the Cognitive Development Society (2013), and he received a Presidential citation from the American Educational Research Association for his research on culture-cognition relations (2010). He is past Editor of the journal, Human Development, and he is past-President of the Jean Piaget Society for the Study of Knowledge and Development. He has been an elected member of the United States National Academy of Education since 2005. Psychological studies of cognitive development are often conducted without regard for the interplay between the cognitive activities of individuals and the cultural histories of communities. In my talk, I illustrate a heuristic research framework that illuminates this interplay through studies drawn from a program of work conducted in a remote Mountain Ok community in Papua New Guinea, the Oksapmin. Traditionally, the Oksapmin like their neighboring groups use a 27-body part counting system to represent quantity. Over four periods of fieldwork that stretch 35 years, I trace the shifting form of the system and the shifting functions it serves as it is reproduced and altered in shifting collective practices of daily life. Though the focus of the talk is on the Oksapmin case, I point to ways that the framework is useful for understanding the dynamics of culture-cognition relations more generally. We recommend staying at the AZIMUT Hotel Smolenskaya — a comfortable hotel in the center of Moscow. The conference will take place at the Yandex office on 16 Lva Tolstogo Street. It’s a 20 minute walk from the Azimut. Alternatively, you can take a bus and get there a bit faster or a taxi that will cost about 2-10 euros depending on the traffic situation (check the price in the Yandex.Taxi app). You can take an express train to Moscow from any of the three local airports — Vnukovo, Domodedovo, or Sheremetyevo. The train arrives at one of the city’s railway terminals where you can take the metro. Whichever airport you arrive at, it’ll take you approximately the same time to get to the hotel. We recommend downloading a few useful mobile apps so that you feel more comfortable navigating Moscow. Yandex.Maps will show you how to reach your destination on foot or by public transport. Yandex.Metro is an interactive metro scheme that helps you pick an optimal route when using the underground. Yandex.Taxi is an online taxi hailing service. You can pay either in cash or by credit card. Welcome Reception will be held at Extropolis foyer on March 18 starting at 18:30. The Conference dinner on evening, March 20, will be held at Shaggy Restobar (Lva Tolstogo street, 5/1). The place is 2 minutes walking distance from Yandex office where the conference will be held. Also we invite you to a bus excursion on March 19. Please register in advance at the Information Desk. • A ride down Tverskaya Street – Moscow's main thoroughfare. • Tverskoy and Nikitsky Boulevards, and Arbatskaya Square. • Znamenka and Mokhovaya — the city's most famous streets. • Red Square – Russia's main square where you can enjoy a wonderful view of the Kremlin towers, the State Department Store, the History Museum and St. Basil’s Сathedral. • The Bolshoi Theater and the Lenin Library. • House on the Embankment — you'll learn some interesting facts about its construction. • A walk around the Cathedral of Christ the Saviour and across Patriarshy Bridge, which offers one of the best views of the historic center. • Lomonosov Moscow State University, and the Vorobyovy Gory view point — a location famous for its wonderful architecture and amazing view of the city. • The Mosfilm film studio. • Poklonnaya Gora and the beautiful Triumphal Arch. • Moscow City International Business Center — a perfect spot to make photos. Directions from «Park Kultury» metro station to the conference venue at the map above. Research Report is 20-minute talk presenting original piece of research in mathematics education, followed by a 20-minute discussion. Proposal for Research Report can have the maximum length of eight pages, accompanied by a 10-line abstract in English (and, optionally, the same abstract in another language). It should provide the theoretical framework, preliminary results, and a discussion of these results. It is important to state what is new in your research, how your study builds on past findings, and/or how it has developed new directions and pathways. Your submission might be declined if it is too similar to research already presented at one of the previous PME conferences. However, if your contribution is accepted, you can use it to apply for participation in the next International PME Conference. • a file for review – a “blinded version” that is a PDF document, including the text of the proposal itself and the references, from which the author’s identity cannot be inferred. After submission, your proposal will be double-blind peer reviewed by three PME members or Russian researchers whose areas of expertise match your research category. The conference Program Committee will make the final decision. You can read more about review process at http://www.igpme.org/index.php/annual-conference/further-information/reviewer-information-new. You might be offered to make revisions to your proposal or recommended to present your research as Oral Communication or Poster Presentation instead of Research Report. Your proposal may be rejected because it fails to conform to formatting guidelines, exceeds the maximum length, or does not have a correctly ‘blinded’ version. Please, see submission guidelines for details http://www.igpme.org/index.php/annual-conference/session-types/research-report and use submission checklist http://www.igpme.org/index.php/79-pme/pme-public/121-submission-checklist-rr before you submit the proposal to help you submit your proposal. Oral Communication is a 10-minute talk presenting a study in a context of broader research in mathematics education, followed by a panel discussion in a group of authors on the same or related subject. Proposal for Oral Communication should be one page long. It should include description of research your study is built on, give a concise overview of new results, and explain the main implications of these results. You do not need to provide an abstract of your proposal. Please make sure your proposal follows the general guidelines at http://www.igpme.org/index.php/annual-conference/session-types/oral-communication and conforms to formatting guidelines and submission checklist http://www.igpme.org/index.php/79-pme/pme-public/122-submission-checklist-oc-and-pp. Your proposal for Oral Communication will be reviewed by at least one member of the conference Program Committee. You can read about the review process at www.igpme.org/index.php/annual-conference/session-types/oral-communication. Please note that no revisions are possible after your proposal has been accepted. Poster Presentation demonstrates a piece of research in a visual format with a flexibly structured discussion during poster session. This format will most benefit the research that is best communicated visually. Although there is no formal requirement for oral presentation of your poster, you will have a time slot during which you will be expected to answer questions or discuss your poster with conference participants. You should be available at your poster in this time slot. Poster specifications will be announced at a later date. Proposal for Poster Presentation should be one page long. It should describe the context of your research, the study itself, its implications, and focus on the visual aspects of your presentation. Please make sure it is in line with formatting guidelines and follows the general guidelines at http://www.igpme.org/index.php/annual-conference/session-types/poster-presentation. Check out our submission checklist www.igpme.org/index.php/79-pme/pme-public/122-submission-checklist-oc-and-pp for help. Proposals for Poster Presentations will be reviewed by at least one member of the conference Program Committee. Please note that no revisions of the proposal are possible after acceptance. Details of the review process are available at http://www.igpme.org/index.php/annual-conference/session-types/poster-presentation/#reviewing. All proposals are accepted in English. The working language of the conference is English. Conference proceedings will be included in russian scientific citation index. Although we primarily encourage proposals that present new and significant contributions to research of mathematics education, your research does not need to be completed. Report on ongoing studies may also be accepted, provided that it includes theoretical framework, preliminary results, and discussion of these results. You can submit only one proposal of any type. As a presenting author of either Research Report or Oral Communication, you can also choose to showcase another piece of your research as a Poster Presentation. All proposals should be submitted by the same person who will deliver the presentation at the conference. Presenting author cannot be changed after their proposal has been reviewed. As a presenting contributor living outside of Moscow in Russia, you may also be eligible for a grant covering your expenses travelling to the conference. Please, indicate that you require travelling expense assistance when submitting your proposal. As a researcher working at a Russian institution, you can also receive assistance with English language editing, as well as basic academic guidance for your proposal from experienced PME researchers. Please make sure you indicated your request for English language editing during the submission process in case you need this assistance. With any questions or suggestions, please contact us at pme@yandex-team.ru.